Global migration is an integral component of the global division of labor. 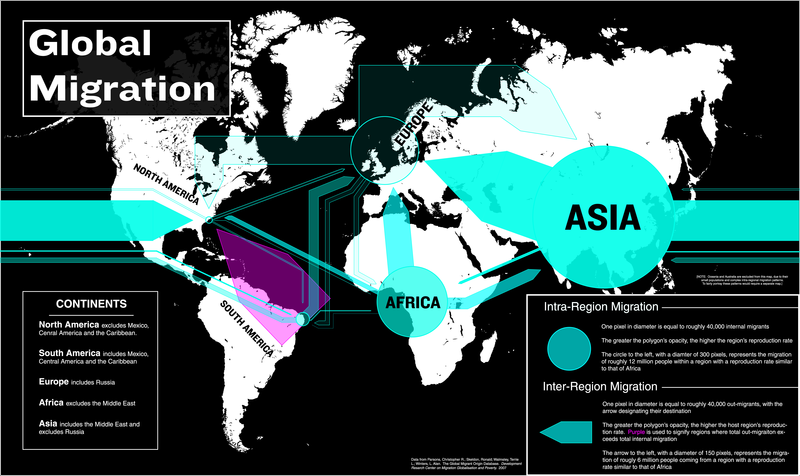 Here we provide one in a series of maps using origin-destination matrices to explore the global patterns of migration and the reproduction of labor. Click the image below for the full-size version.